Parents with children born in the U.S. now face choice of separation or uprooting them to one of the most dangerous countries in the world — could Canada be another option? More than 200,000 Salvadorans face deportation from the United States next year — but most can't imagine returning to a country they left almost 20 years ago, or leaving behind the children they raised in those decades. While advocates work to find a solution that keeps families together, U.S. President Donald Trump is reported as having used vulgar and derogatory language in a meeting with senators. While discussing immigration, the president asked why the U.S. was taking people from "s---hole" countries like Haiti and Africa, and not more people from countries like Norway. 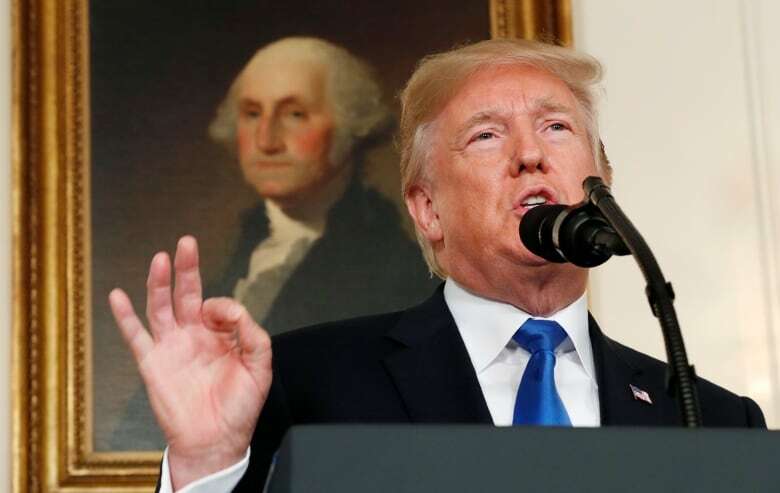 "It's just a completely racist statement" that shows the "true colours" of the president and the conservative elements within his administration, says Daniella Burgi-Palomino, a senior associate at Latin America Working Group. She says it lays bare "a very xenophobic and racist agenda … that really only paints one picture for immigration to the United States, which is a white European sort of vision, and one that cuts off immigration and receiving refugees and immigrants from practically the whole world." "His statements yesterday don't represent, I believe, what the large majority of Americans believe this country stands for." This morning, Trump denied that he used those words, but that may be little comfort for Salvadorans living under the threat of deportation. 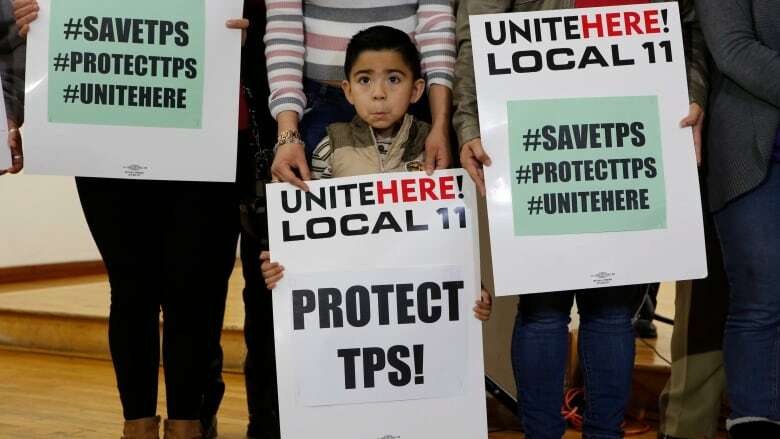 Many have been in the U.S. since 2001, living under Temporary Protected Status (TPS) that was granted in the wake of the 7.6-magnitude earthquake that struck in January that year. Some have been there even longer under TPS granted due to the country's decades of political unrest. Yanira Arias moved to the United States in 2000, fleeing a high crime rate and daily harassment. She is now the National Campaigns Manager for Alianza Americas, a group that assists migrants from Latin America. She says the decision to revoke TPS wasn't a surprise, but it was still a disappointment, and has left many Salvadorans with an impossible decision to make. "I am hearing a lot of uncertainty. There are thousands of parents concerned for the future of their children, and the children themselves," she says. "Every single day those children are thinking about the future of their parents, their [own] future. If they are going to be separated, or they are going to be sent to a country that they don't know." Arias is also living under TPS, but says she cannot comprehend returning to El Salvador, a country lacking job opportunities and rife with instability. "After two decades here, I basically will be a stranger in my own country," she says. 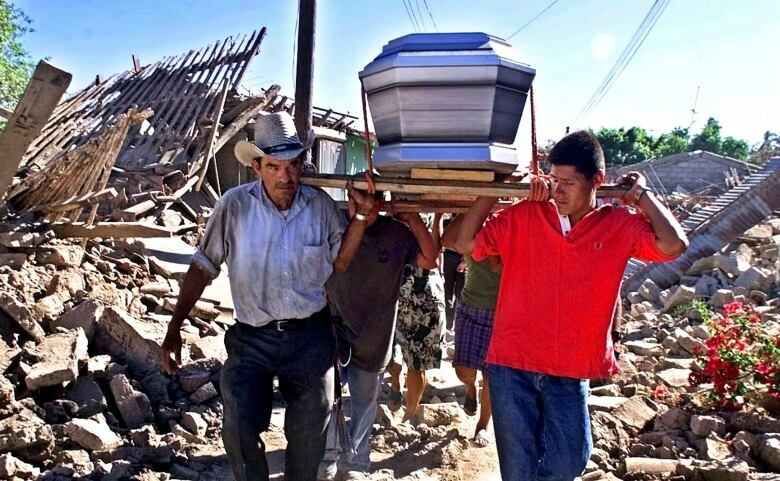 Burgi-Palomino says that the government in El Salvador cannot provide for its citizens, and the decision to revoke TPS should not solely be based on the 2011 earthquake but on "the combination of factors of violence, insecurity, [and] corruption." "I've been there multiple times in the past year," she says, "and I've had government officials tell me they can't protect their own citizens and they would not be able to receive 200,000 individuals to the country." In the summer of 2017, a similar situation in the U.S. prompted an increase in Haitian migrants crossing the Canadian border. Immigration Minister Ahmed Hussen said this week that plans are in place to engage with a Salvadoran surge, but that "you can't cross our borders irregularly, and if you do, you will be apprehended." Angela Ventura is a Salvadoran living in Windsor, Ont., and working with the country's diaspora across Canada. Over the past few days she says she has had calls and texts from 110 people who are enquiring about work programmes and entry requirements — but none want to come illegally. She warns that their loss of TPS could bar them from entry, if applications ask whether you have ever been deported or asked to leave a country. "I would say the majority are professionals. They are hardworking people," she says of the calls she has received. In El Salvador, she says, "the only resource we have is our human resource, and we are proud of it. We work hard, we are survivors, we are creative." "I am proud to be Salvadoran, I want my daughter to be proud to be Salvadoran, of her Salvadoran heritage." Listen to the full audio near the top of this page. You can share this story across email, Facebook, Twitter and other platforms using the icons below. This segment was produced by The Current's Howard Goldenthal and Rosa Kim.